Can a court judgment increase over time? Question: I have a judgment that I believe was increased with my deceased wife’s account. How can I find out if this is the case? Also their lawyers lied and told me that the court case date was changed. This all happened during the 7 years while I was my wife’s caregiver. All I want is to remove the erroneous info from my credit report. It is hurting my chances to obtain bonding to enable me to conduct business to support myself. Answer: The simple answer is yes, a court judgment can increase over time. But keep in mind it depends on your State laws. For instance, in California the statute allows for interest of 10% per annum on the principal amount of a money judgment remaining unpaid. If you live in a State which allows interest to accrue on an unpaid judgment then it is perfectly legal for that judgment to increase over time. The best way to find out about the details of the judgment is to go to the courthouse and obtain a copy. If the courthouse is online you may be able to order a copy or you may be able to order it through the mail. There are ways to remove a judgment through the dispute process; however, disputing a judgment that really belongs to you may be a waste of time. Even if you are able to get a judgment removed through the dispute process it may, at any time, be put back on your credit report. Read “How to Dispute a Judgment” for more information. Your situation may be different as you mentioned the judgment was erroneous and you were given incorrect information. 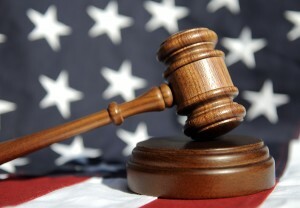 Seek legal advice from an attorney you hire, not the attorney who won the judgment against you. An attorney you hire may be able to challenge the judgment. It is possible to bring a motion to vacate the judgment. There must be good reason or reasons as to why the court should vacate the judgment against you. For example: You were improperly served or not served with the Summons and Complaint at all. A few states allow service via non-certified mail but the majority require a Summons be served in person or via certified mail. An attorney can advise you best if you are not comfortable looking up your State laws and representing yourself in court. You or an attorney could also show the court why the case would have been dismissed even if you had originally responded to the lawsuit. For example: A dismissal could result because the amount of the debt exceeds your State’s usury interest limits. Judgments can remain on your credit report for 7 years; however, judgments can be renewed, if unpaid, and re-entered which makes it possible for a judgment to remain on your credit report for an undetermined amount of time. The dispute process may remove the judgment but it probably would not be a permanent removal. Until you either satisfy the judgment and it ages off your credit report or you challenge the judgment through the court process, it will adversely affect your financial well-being. If you choose to consult an attorney, naca.net has a wide variety of consumer law attorneys listed by state that may be able to consult and assist you. The best of luck to you.